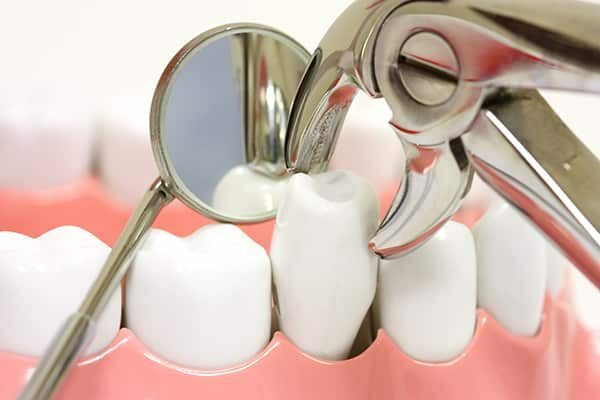 Tooth extraction, Natural teeth are ideal for biting, chewing and maintaining mouth and jawbone structure, which is why a dentist’s first priority is to help restore, save and repair your natural teeth. However, sometimes a tooth extraction is unavoidable. Natural teeth are ideal for biting, chewing and maintaining mouth and jawbone structure, which is why a dentist’s first priority is to help restore, save and repair your natural teeth. However, sometimes a tooth extraction is unavoidable. The dentist at DocDental Smile (My Menifee Dentist) will make sure you’re comfortable before, during, and after your extraction procedure. This includes walking you through every step of the tooth extraction, as well as the use of local anesthetics. Sometimes, teeth need to be removed due to decay, disease or trauma. Having a tooth removed or “pulled” is called a tooth extraction. When you have an extraction, it’s natural that changes will occur in your mouth afterward. Your dentist may give you instructions to follow after the extraction, and it’s important to talk to your dentist if you have any questions or problems. Here are some general guidelines to help promote healing, prevent complications, and make you more comfortable. Before the extraction, you would be given an anesthetic to reduce your discomfort. Your mouth will remain numb for a few hours after the extraction. While your mouth is numb, you’ll want to be careful not to bite your cheek, lip or tongue. After the extraction, do not eat any foods that require chewing while your mouth is numb. The numbness should go away within a few hours. If it doesn’t, contact your dentist.